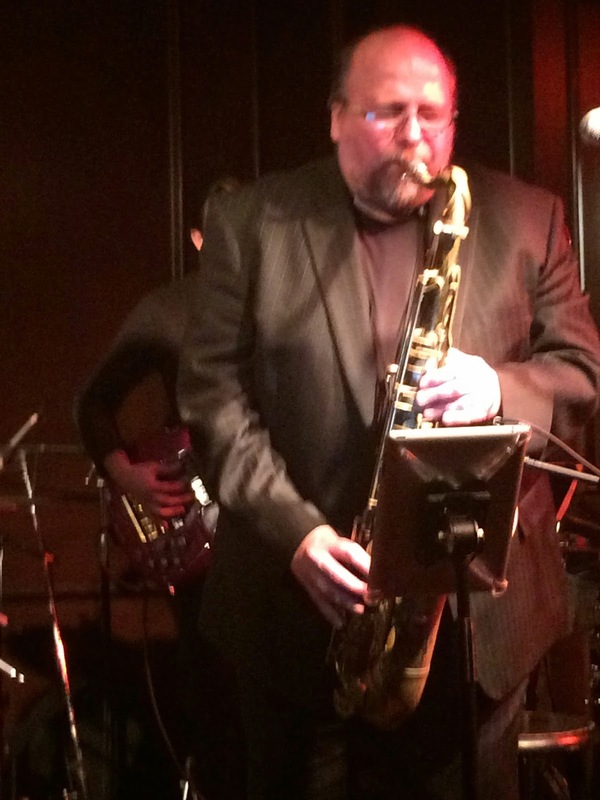 Last Sunday, November 30th, I went to Scullers Jazz Club in Cambridge to watch Arturo Sandoval. I was especially excited, since I had seen him once before at Scullers, when he played with the Latin Jazz All Stars a couple years ago. This concert was definitely special, full of great memories and exuberance. 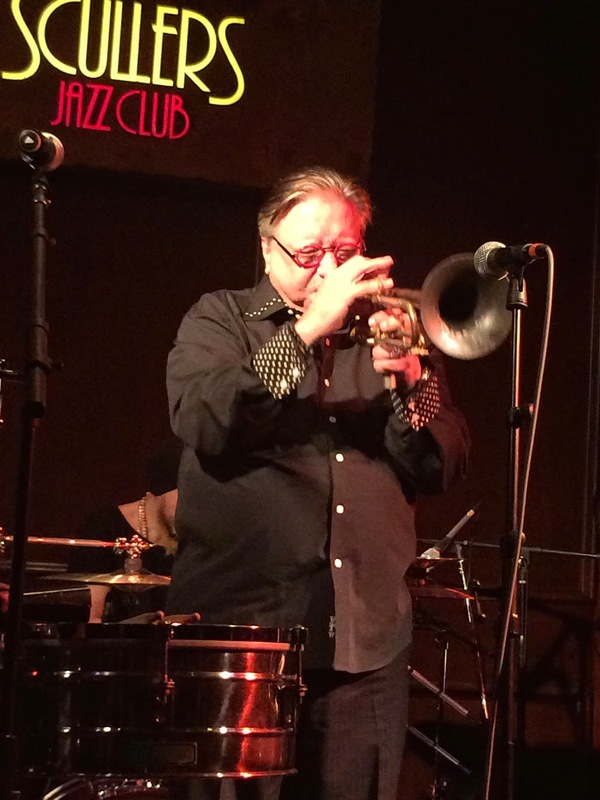 If you want to learn more about Arturo Sandoval, listen to these NPR segments here, and visit his website here. Arturo kicked off the night with songs such as Cherokee, Hot House, and Donna Lee. These bebop standards kept the energy up, and breezing through solos. These bebop songs all flowed seamlessly into each other, as an extended sort of homage to Dizzy Gillespie and Charlie Parker. Arturo with Jeanie and his wife (L to R). The next piece was a stunning ballad called "Dear Diz (Every Day I Think of You)". What I love about Arturo's playing is that even with all the technique in the world, he uses his skills to move the audience. "Dear Diz" was a sweet, sentimental ode to Arturo's mentor and hero, Dizzy Gillespie, and Arturo sang and played trumpet. With this, Arturo mirrored the likes of Chet Baker, making his horn an extension of his voice and vice versa. What was especially endearing was that Dizzy Gillespie's daughter, Jeanie, was sitting right behind my table, and hadn't seen Arturo in almost twenty years. So this song was not only to thank Dizzy, but to reunite with an old friend. Then Arturo played the Clifford Brown song, "Joy Spring", making quick lines and octave jumps look flawless. In this way, Arturo's style of playing comes to him as naturally as most people breathe - and with each breath his phrases zig zagged through a fast paced dialogue with his band. I noticed Ed Calle on saxophone would listen with wide eyes to Arturo while he played, and would make motions as if they were actually speaking to each other. Following, Arturo hopped onto the piano to showcase what he had been working on, creating lush melodies. Then the classic standard "All the Things You Are" electrified the audience. As a final song, Arturo played the quintessential Dizzy song, "A Night in Tunisia". Arturo would hit high notes on his trumpet I didn't think were even possible! This element of showmanship combined with his extreme musicality allowed for a profound musical experience. My sketch of Arturo and Ed Calle. This was the first show I came to with a sketch book to draw the scene. 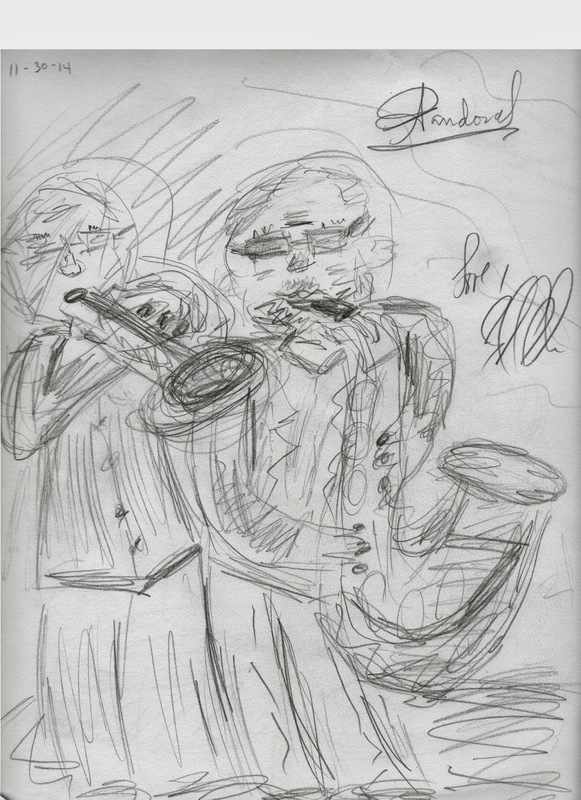 I was overjoyed when I showed Arturo Sandoval and Ed Calle my sketch, and they both loved it and signed their names. This made me very grateful for their artistic support. This experience inspired a couple of poems on my jazz poetry blog, "Without a Poem", including "Diz" and "To Diz". 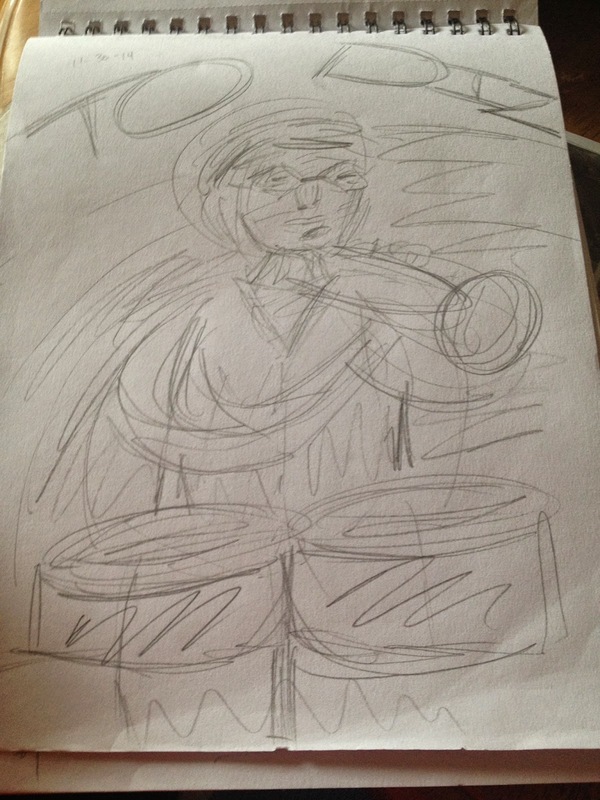 Every day I improvise a new jazz poem and sketch, so stay posted.